Firstly, a Happy New Year and may 2017 bring us a year of health, happiness and prosperity. 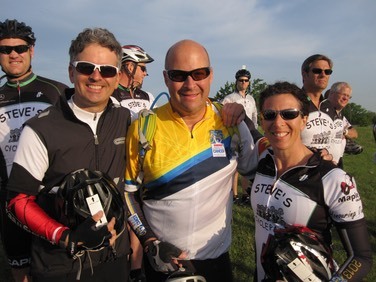 As we turn the calendar to a new year, we are gearing up for the 10th Anniversary of The Ride to Conquer Cancer. If by chance you haven't signed up yet, please do so ASAP as our 10th year we anticipate significant growth in our numbers and want to make sure we can plan accordingly. Registration form is attached, and I have already paid for your registration. Already this year I've been inspired by some recent news of cancer in my circle, we need to find more riders that will lead to finding a cure. P.S. You might as well sign up now before I hunt you down, because you know I will.